With the memories of a fantastic summer fading into the distance, it's time to get those winter coats out and get your home ready for colder days ahead. One of the main burdens of the cold weather can be the disruption to your daily hygiene routine. As the mercury begins to fall, having to shower can really interfere with your normally straightforward morning routine. With this in mind, you'll find some winter warmer tips below that will help you combat the freezing temperatures while still being able to enjoy using the shower. This first tip may prove to be unpopular. However, by lowering the temperature of water in the shower your body will begin to adapt and handle the cooler water. Once the winter has begun to take full effect a slight increase in temperature can be felt a lot more. This will reap many benefits; a colder shower has proven to improve many aspects of life. This includes the immune system, skin, breathing and energy levels. If the body is accustomed to the cold temperatures it is less likely to feel the cold during your daily shower routine. Additionally, energy costs will be lower as the use of hot water decreases. While the idea may seem insane to some, it could prove to be a successful, albeit unorthodox, way to beat the winter chills. If the above tip doesn’t take your fancy then the warmer the shower the better! Start running the shower a couple minutes before you get in to ensure there aren’t any unwanted surprises. With our range of digital showers from Mira and Aqualisa, you don't even have to leave your bed! Treat yourself to some new towels. The thicker the better and buy several so there is always a fresh one at hand. Nothing is worse than a thin towel when trying to dry as quickly as possible after a shower. Before the shower, make sure there are two at hand; one for hair and one for body. Also, always remember to have the towels as close as possible. Even drape them over the shower doors if need be. Or better yet purchase a heated towel rail to keep you toasty after a hot shower. There is nothing worse than running around a cold bathroom in desperate search of a towel. Many people shower before work. An early morning, uncomfortable shower does not set many people up for the day in the best possible mood. By changing to an early evening shower, this gives you time to set the mood in the bathroom (heated up, towel prep etc.). Wouldn’t you rather enjoy the whole experience than endure a rushed and grumpy pre-work affair? If your shower is not in the best condition then it is possible that the winter warmer tips won’t go a long way. Upgrading your shower and shower enclosure could be the best option before the real winter chills hit. Having a more powerful shower and an enclosure that makes the most out of the space will provide a better atmosphere in the bathroom this winter. Do you change your morning routine when winter comes around? Tweet us @VictoriaPlumUK and tell us how. 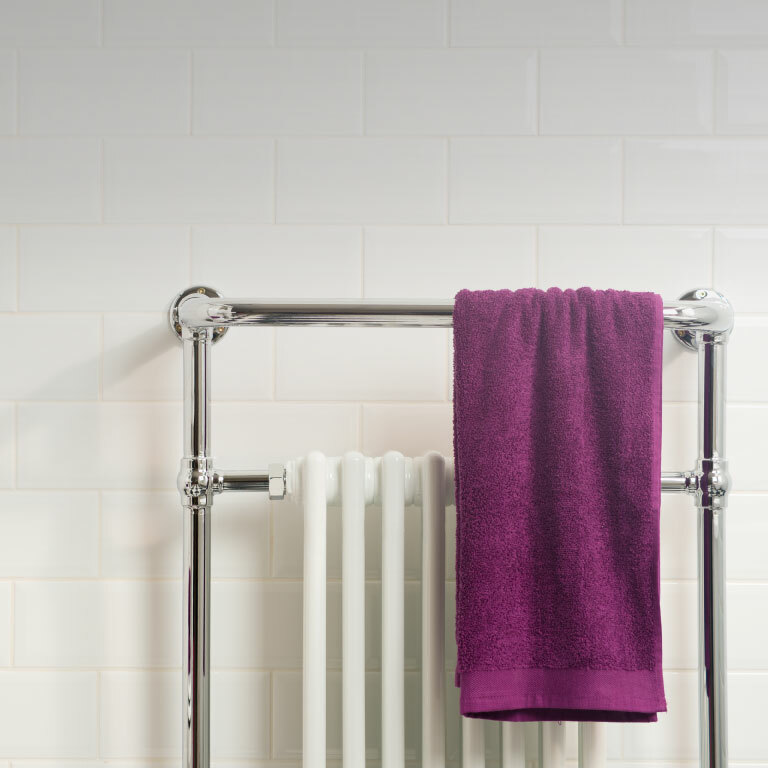 Heated towel rails: The ultimate winter bathroom accessory? Picking your toilet seat may not seem that important, but, as you'll spend a lot of time sitting on it, it pays to choose wisely.